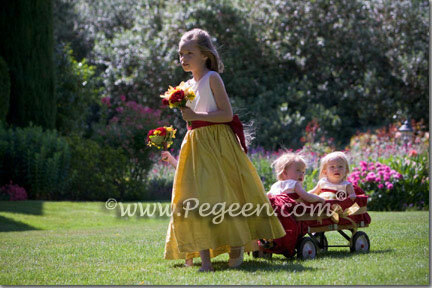 I thought this a great idea for my son’s wedding, to pull the littlest flower girls in a wagon seen in our Flower Girl Dress of the Month. We still haven’t designed the flower girl dresses or suits for the wedding because they are going to be SUPER special, but I thought that we may use this idea for my nieces, should we coax the little darlings into making their first flower girl appearance. 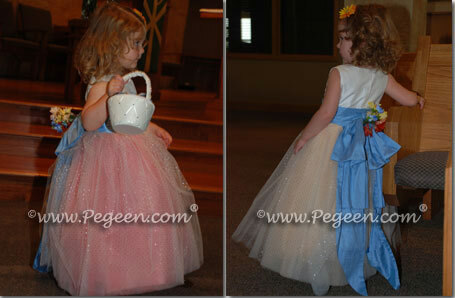 The dress style for the older children was Classic Flower Girl Dress style 345 and for the infants, flower girl dress style 398. 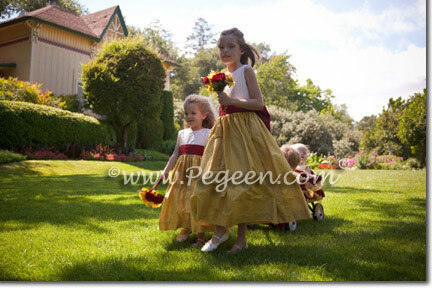 Flower girl dresses were in mustard yellow and cranberry red. All week long, Pegeen will donate a percentage of sales to our Wounded Warriors (or you may Donate Now). Place your order and you will not only be getting a beautiful outfit for your wedding or event but help say Thank You to some of America’s Bravest Heroes. Get your order in before Saturday to help Pegeen play a small part in honoring our heroes and their families. Pegeen is made in the USA and extremely proud to hire and produce here in the United States of America. A portion of our sales will be donated to the Wounded Warrior Project Inc. If we reach 100 orders by Saturday, we will donate an additional $500 to this great organization. Help us reach that goal. 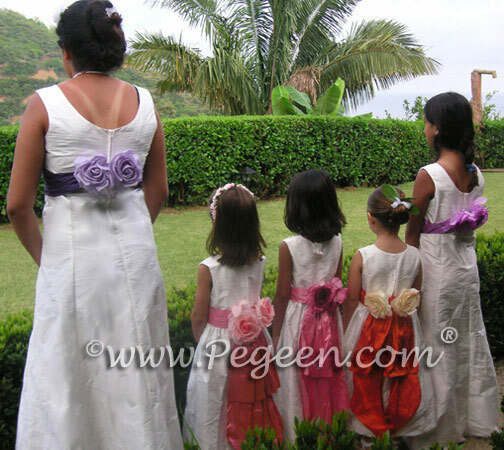 more and more weddings with multiple flower girls had chosen to have the girls dresses in multiple shades to match their color themes and flowers. The anticipation is growing for Pegeen’s announcement of our Wedding of the Year. In addition to our yearly announcement, the wedding will kick off a year long celebration of our wedding of the year. The weddings below will be featured in our new commercials appearing on various women’s wedding programming…. and at the end of 2012, a very special wedding will be occurring and we will choose up to 12 little girls to be in a very special wedding at Disney. Watch for the coming announcements. About 5 years ago, as digital cameras improved, we started getting BEAUTIFUL photographs from our customers. 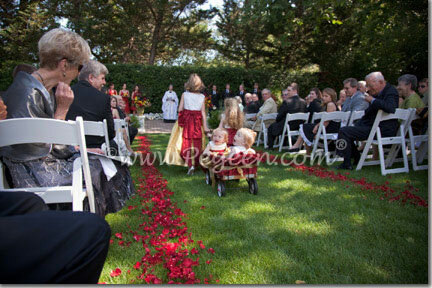 One in particular really stood out, so we named it our First Wedding of the Year and the Flower Girl Dress of the Year. 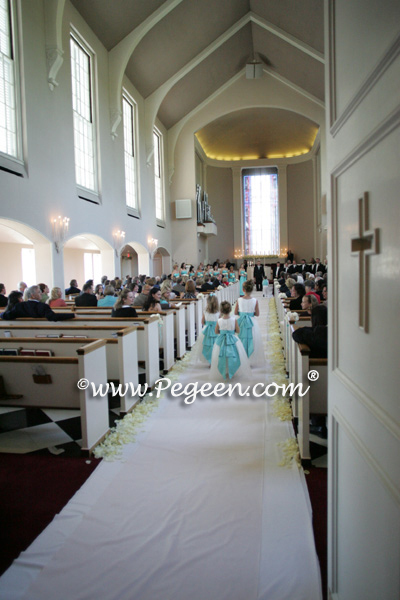 It came at a time when Tiffany Blue was really big in weddings and we couldn’t produce them fast enough. The following year, we named our favorite pink and white flower girl dresses of the year and it was lovely. 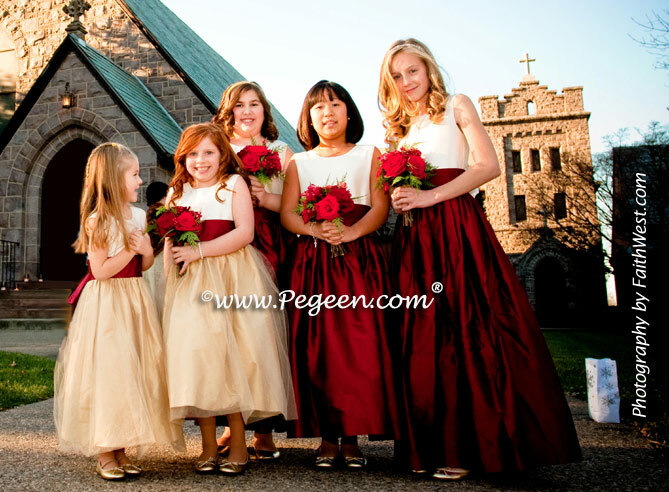 Then we announced a lovely Christmas Themed Wedding of the Year with her flower girl dresses in Red and Gold. This year, our favorite Wedding of the Year was a gorgeous pink and bisque silk held at the St. Regis in Dana Point. Wedding Planner was David Tutera and the execution of the wedding was absolutely stunning. 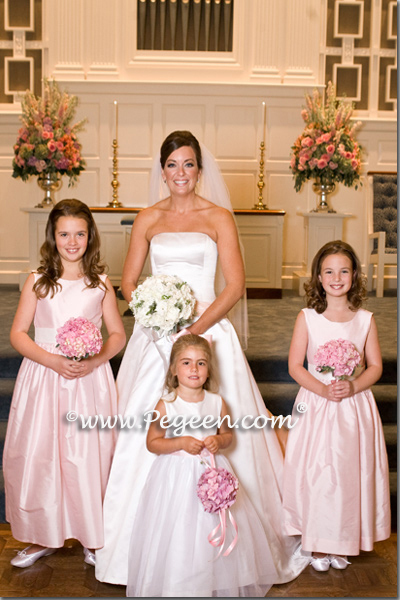 The Flower Girl Dress of the Year was pink and creme layers of tulle and the color of the silk was a beautiful peony pink. I love the 4th of July as much as I love my country. We would make a cake with blueberries and strawberries and watch the fireworks in Sea Isle City in the 1950’s when there were less the 50 people on a 10 block radius. We sat on our porch and watched some really beautiful shows. Fast forward to the 70’s, my grandmother, for whom I was named, passed away on the 4th of July – I swear because she wanted to make sure we didn’t forget we never forgot her every time we watched fireworks! Fast forward to the present day, we now have moved our family and Pegeen to Orlando and get to watch fireworks every single night! I am looking forward to going to Epcot this year on the 4th because they have the best and most patriotic display of fireworks and music, and then come home and watch the movie AVALON because that was so much like our life as children with the relatives. This is our tradition, what is yours? 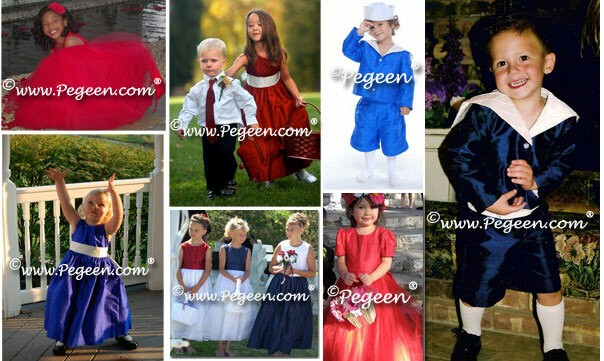 Here is our display of Red White and Blue flower girl dresses and ring bearer suits. For more visit our Patriotic Themed Weddings.